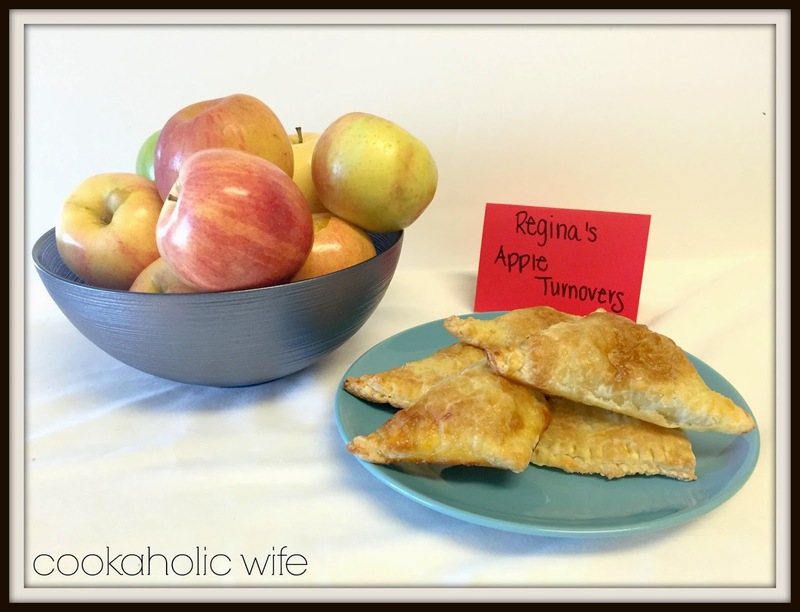 Continuing with my Once Upon A Time theme, today I’m sharing Regina’s Apple Turnover with you. Regina is the mayor of Storybrooke, but in the fairy tale world, she is the Evil Queen. She hates Snow White for a secret Snow White told as a child and Regina is determined to get her revenge, one way or another. Regina has an affinity for apples and is not above poisoning her apple dishes in order to get her way. 1. Preheat the oven to 375. Line two large baking sheets with parchment paper. 2. Add apples, sugar and cinnamon to a saucepan and cook over medium heat for 8-10 minutes or until apples have softened and juices have thickened. 3. Lightly flour a surface and gently roll out the puff pastry. Cut each puff pastry sheet into 9 squares. 4. 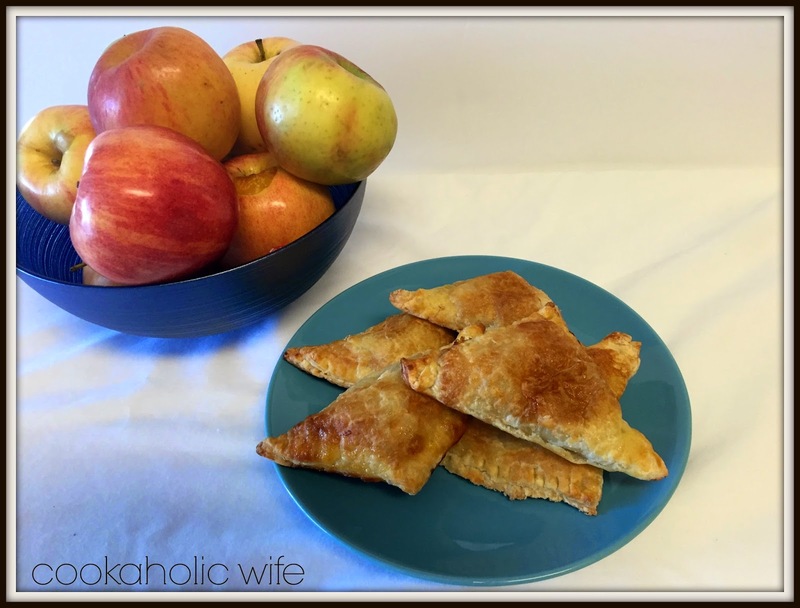 Place 1 1/2 teaspoons of the apple mixture into the center of each puff pastry square. Fold one end over, creating a triangle shape and seal with a fork. Repeat with remaining squares. 5. Whisk together the egg and water and brush over the pastry. Sprinkle white sanding sugar over each pastry. 6. Bake for 12-14 minutes or until golden brown. I don’t remember the turnovers Regina made in the show having a glaze on them, so I chose to just top these with sanding sugar before baking them in order to give them a slight crunch.